Abilene Fastener Supply offers a large variety of power tools from industry trusted brands like Hilti, Makita, Senco, Bosch, DeWalt, and more. We carry the right tools for tough jobs including cordless, electric, and pneumatic tools for use in drilling, demolition, coring, sawing, cutting, grinding, polishing, and fastening. We have the tools that you need whether you are an at home DIYer, a seasoned contractor, or someone in between. We take pride in offering the best products on the market to your customers and our professional staff is always here to assist you in making the right choice for your crews. Even if you aren't in the market for new tools we can also assist you with full service power and pneumatic tool repair. Please visit our services page for more information about our repair services. 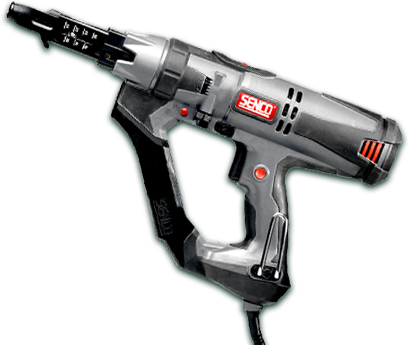 We offer a full range of battery powered and electric drills and fastener power tools for commercial, home, and commercial use. We carry tools for drilling and fastening wood, stone, concrete, drywall, metal, and roofing materials. We also offer auto-feed models of many popular drills and fasteners. Visit our Blades & Bits page for more information about the drill bits that we carry. Abilene Fastener Supply is your one stop shop for your cutting and sawing needs. We carry the right saws for the right job including both circular, reciprocating, and fixed position saws. From cordless to electric, and handheld to table workstation, we guarantee you will be able to find the right cutting tool to meet your needs when it comes to materials, power source, space, and transportability. Having the right tool is important, but using the right blade is even more crucial, please visit our Blades & Bits page for more information. Cutting and grinding hard materials such as stone, concrete, and metal require a specialized tool to get the job done. Abilene Fastener supply has you covered with angle, die, and bench grinders for cutting, polishing, sharpening, and grinding. For additional information about specialized abrasive pads for grinders please visit our contractor supply page. Pneumatic tools combine the power and sustainability of electric with the convenience and transportability of cordless without necessarily needing an external source of electricity. We offer pneumatic tools for any job including air grinders and sanders, nail and staple guns, air saws, riveters, air drills, and pneumatic demolition tools. The compressor that you choose to power your pneumatic tools is also a major consideration that you have so make so please visit ourCompressors page for more information.